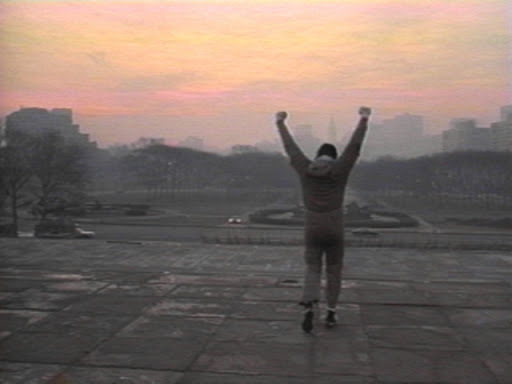 I remember when the movie “Rocky” debuted in 1976. I remember the night…I remember the theater and I remember the excitement. The movie captured not only the attention and imagination of the nation…but my heart too. I loved the movie from the get go. It touched me, encouraged me and gave me hope. It’s a feel good, comfort movie. One that I can watch anytime…especially when I’m feeling down and come away feeling uplifted and inspired. 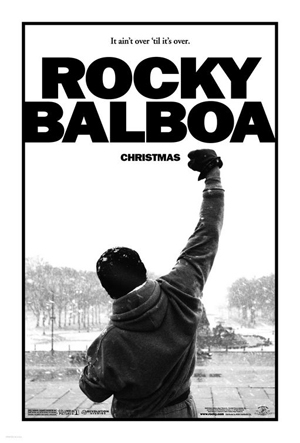 While I couldn’t resist purchasing the DVD…it was with trepidation that I watched the new movie “Rocky Balboa”. After all I didn’t want to be disappointed with something that I had grown to love. I found that Rocky has aged well. He still had the heart…and the spirit. The spirit to try and give it all he’s got. Life had kick him around, hit him hard and left a few bruises. But he didn’t let that keep him down or stop him from trying. In the intervening years since the original “Rocky” life has been difficult at times and it’s certainly not turned out like I had hoped or dreamed. So I can related to Rocky 30 years later. I come away once again touched and encourage to get up and go out and face my own battles another day and the next, and the next, and the next. 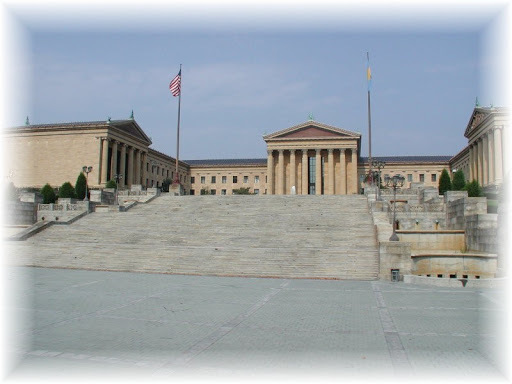 As the credits rolled they showed scenes of everyday ordinary people…running up the steps of the Philadelphia Museum of Art. I swear I found myself dreaming a bout running up those famous steps and feeling my own moment of victory. If ever I get it Philadelphia I know where I’ll be stopping. I can tell the measure of a movie…when I walk away and say I want to see that one again. Indeed…I’ll be watching “Rocky Balboa” again.